Firestorm Armada is a game of outerspace combat played on a skirmish scale. It is produced by Spartan Games, and is currently in its second edition. Spartan produces a wide range of races to satisfy nearly any aesthetic and playstyle. In certain respects Firestorm Armada is simiar to Battlefleet Gothic, as they both use a 2 dimensional playing field, and use six sided dice. However, there are major differences as well. Firestorm uses the exploding sixes mechanic, which is also used in Spartan's other games. When a six is rolled, another die is rolled and added to the six. Gameplay involves rolling lots of dice, but there are also instances when a lone die can roll a big number. 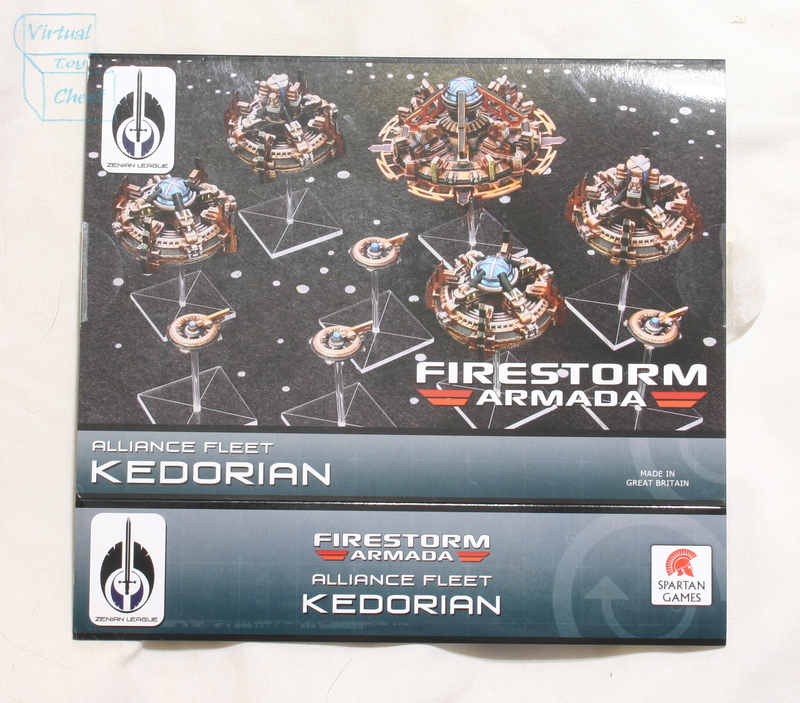 Another difference between Firestorm Armada and Battlefleet Gothic, is the size of the miniatures. Spartan's minis are deceptively large. They dwarf even the largest Battlefleet gothic ships. 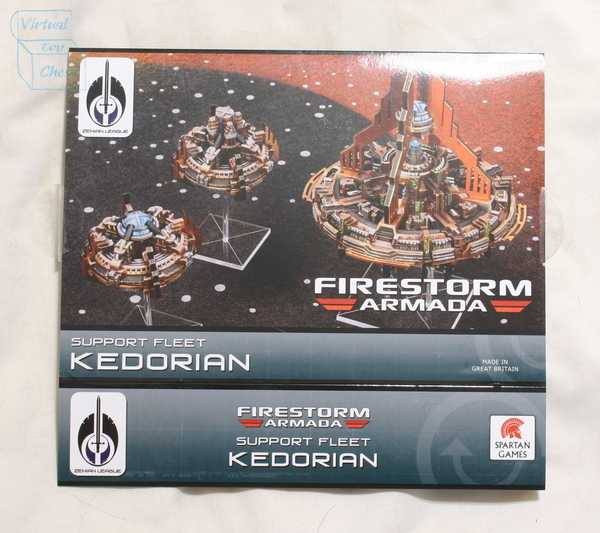 Spartan recently released Planetfall, an epic game of planetary invasion, set in Fathoms Reach, the same universe as Firestorm Armada. The gaming community has been eagerly awaiting its release, as Planetfall allows players to create campaigns that include both outerspace an ground based combat. 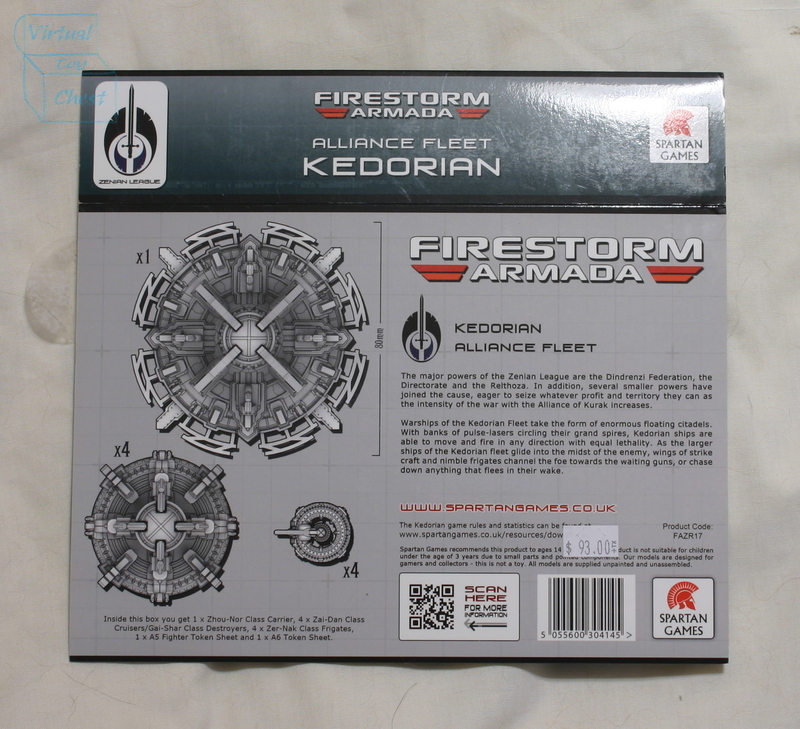 In addition to updating the rules, Spartan redesigned many of the ships for the second edition. The new designs are more three dimensional than the original sculpts and have more detail. The old models are still useable in the game, in fact they use the same rules. The old designs are still represented in the current artwork. Spartan created a large universe of races and ships, some of which have not been released. There is a vocal group of fans that were disappointed with the decision to resculpt the ships rather than produce models of ships that have not yet been produced. 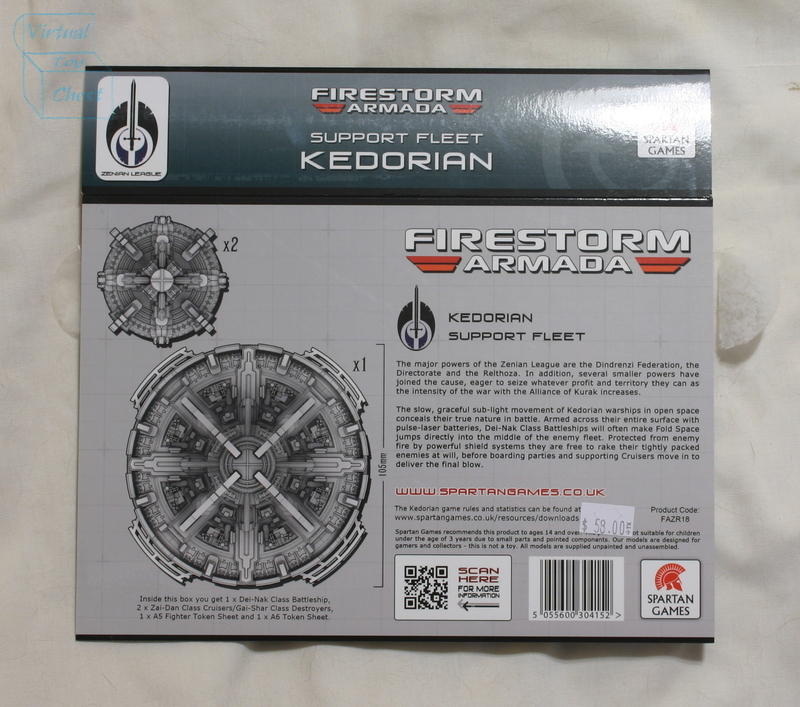 In addition there are two alliances, the Kurak Alliance and the Zenian League, and several smaller fleets. The Kurak Alliance was formed between the Terran Alliance and its closest aliens neighbors. It primary members are the Terrans, Sorylians, and Aquans. Other smaller forces in the alliance are listed below.